The SA-538 Apex 1 1/8'' Universal Wrench, 3/4'' Square Drive is one of thousands of quality tooling products available from MRO Tools. Please browse Apex 3/4'' Square Drive Universal Wrenches, SAE for tools similar to the SA-538 Apex 1 1/8'' Universal Wrench, 3/4'' Square Drive. 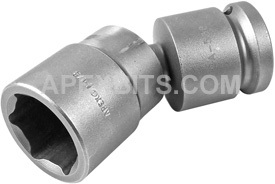 SA-538 Apex 1 1/8'' Universal Wrench, 3/4'' Square Drive description summary: Apex 1 1/8'' universal wrench, 3/4'' square drive. 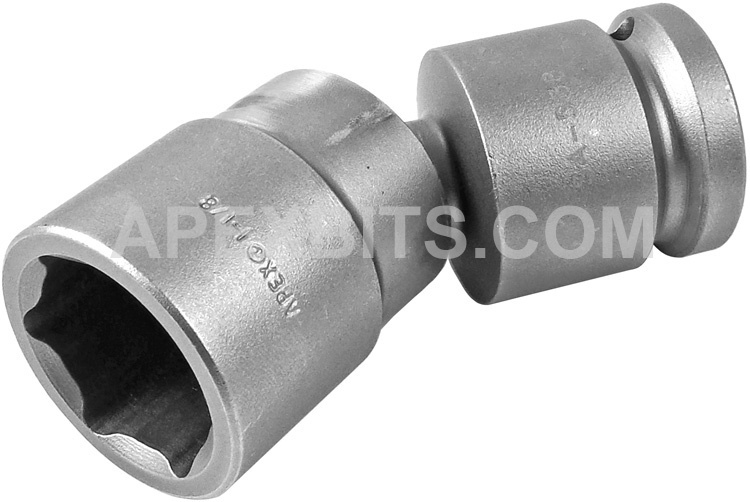 Hex Opening: 1 1/8'' Overall Length: 3 29/32'' Socket Length: 1 7/8'' Socket Diameter: 1 5/8'' Nose End Diameter: 1 5/8'' Clearance Depth: 1 1/32'' Quantity discounts may be available for the SA-538 Apex 1 1/8'' Universal Wrench, 3/4'' Square Drive. Please contact MRO Tools for details.